Client can request Newegg to return normal inventory. Find and select the item from Litem List (refer to 3b. Item Search & Edit). 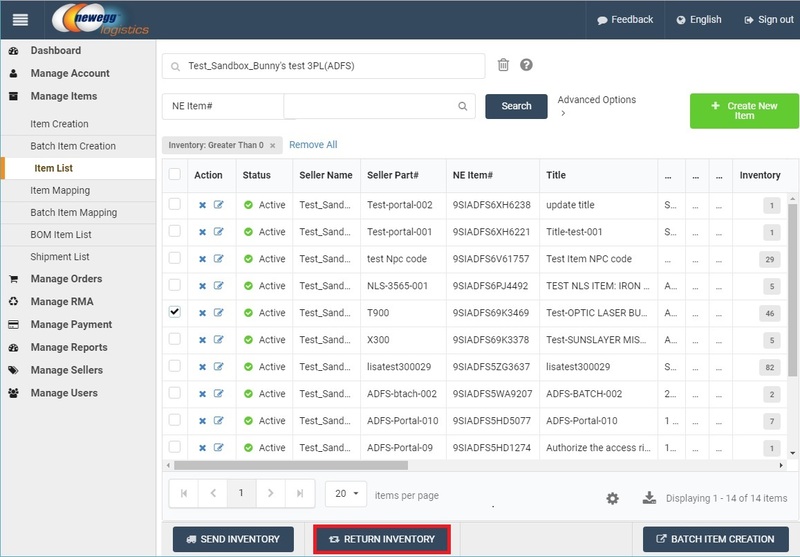 Click Return Inventory button to create a return shipment. Client then input quantity of return at Return Fulfillable Qty. 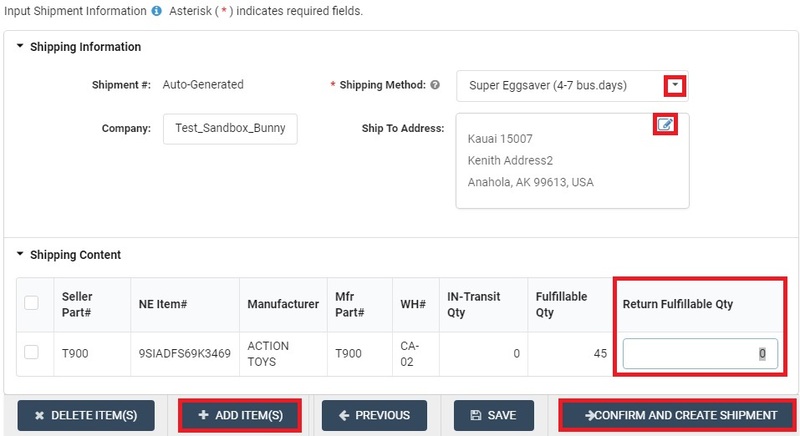 Additional items of return can be added clicking Add Item button. Client can keep editing shipping content until all item completed. Client review and select Shipping Method & Ship To Warehouse Address (refer to 2a. how to set up Inventory shipment address) for the return shipment. 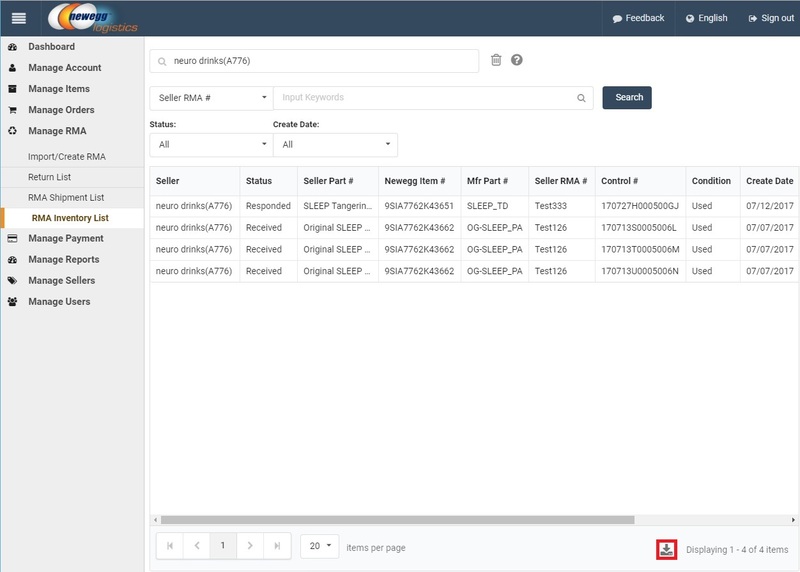 Lastly, client click Confirm and Create Shipment button to create a return shipment. 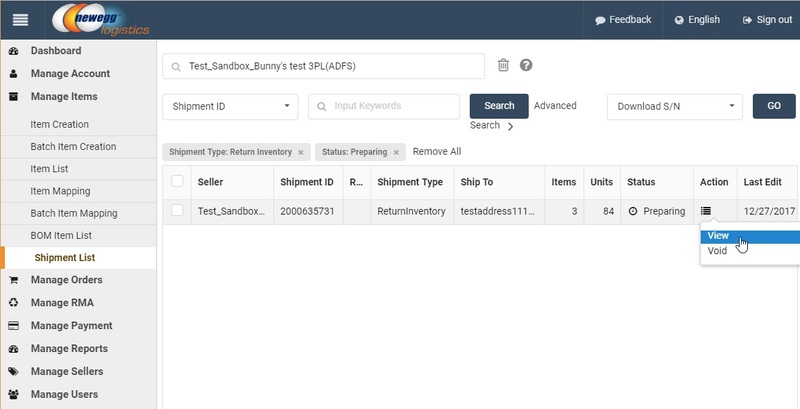 Client can review created shipments at Manage Items > Shipment List. User can view or void return shipment before Newegg warehouse process it. Client can find RMA inventory in Newegg RLC at Manage RMA > RMA Inventory List. Client can download the list by clicking Export icon. 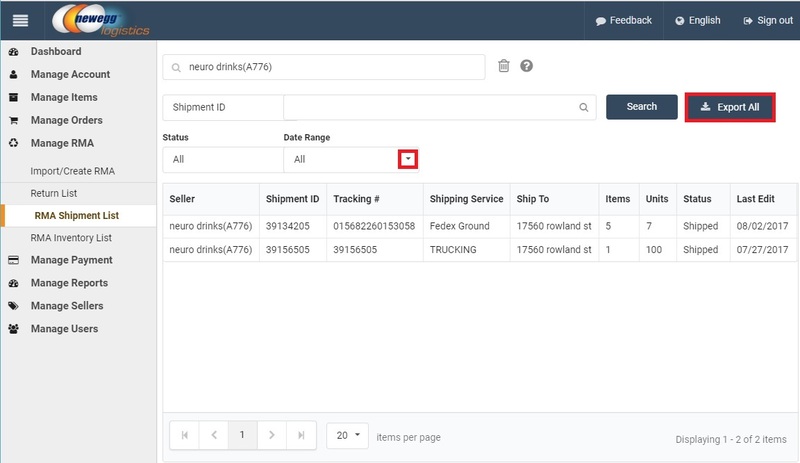 Client can search RMA shipment by date range, and click Export All button to get the manifest file in MS-Excel format of shipment details to facilitate receiving at client facility.